Our range of products include garam masala powder, coriander powder, cinnamon powder, turmeric powder, chilli powder and curry powder. 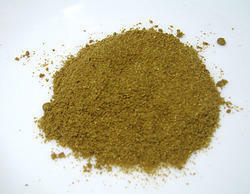 We have gained expertise in delivering a quality range of Garam Masala Powder. These powder are a blend of various spices, which are used in small quantity to add flavor to the dish at the end of the cooking. These are widely used in various Indian cuisines to add extra flavor in continental veg & non-veg cuisines and also to enhance their taste. Preserves 100% natural aroma and rich taste. 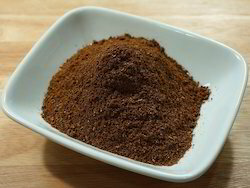 Uses Low-Temperature Grinding (LTG) Process in grinding Spices. Utilizes a combination of traditional recipes and latest technologies. Our Garam Masala is Prepared in a very hygienic environment for best quality. We are instrumental in providing our clients with quality assured array of Coriander Powder. The offered coriander powder is checked on numerous parameters in order to assure its quality & purity from our end. This coriander powder is processed using quality approved coriander seeds and techniques in compliance quality. Our offered coriander powder is used as flavoring agent in the food. Backed by a team of trained professional, we are actively engaged in offering our patrons Cinnamon Powder. Our whole product is processed using the best quality ingredients and advanced technology by our nimble professionals. This product is tested by a team of quality supervisors on various constraints to deliver the qualitative range to the clients. Further, these products are delivered within defined time frame to the clients at affordable price. 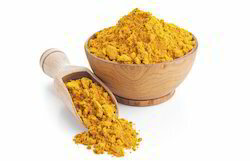 We are a name reckoned in the highly competitive market for offering the rich quality range of Turmeric Powder. The base ingredients are handpicked by the experienced staff and are finely ground to offer rich taste to the dishes. The products are very efficiently packed and are known for their longer shelf life. Beside we are known to follow competitive prices for all our offerings.